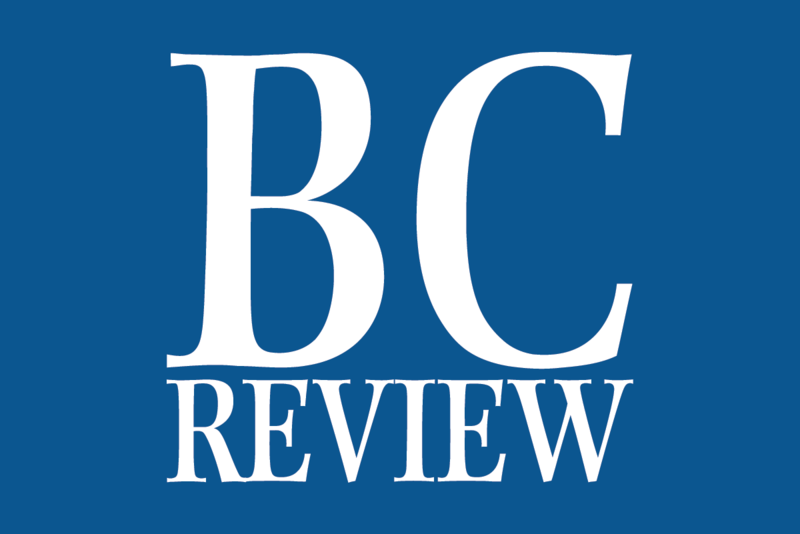 Home remodeling ramps up in springtime, and since kitchens are the single most popular room to renovate, it’s time to counterpoint countertops. (Las Vegas Remodel & Construction) This kitchen was completed renovated by Las Vegas Remodel & Construction. A highlight is the countertop and there are many types to selection from. (Las Vegas Remodel & Construction) This quartz countertop from Las Vegas Remodel & Construction has mirrored flecks. With so many countertops available, choosing one can become the bane of your remodel. Because they serve both a design element and work surface, it’s important to do your homework before choosing one. Here’s a guideline to help. Granite, at one time considered an upgrade, has become the standard. It’s one of the hardest materials nature offers, making it highly scratch- and crack-resistant. Hot pans can go on them straight from the oven and their smooth surface is ideal for rolling/kneading. Unlike marble, it’s stain-resistant and wipes down easily. Marble, travertine, soapstone and limestone are all quarried stone that offer unique and natural beauty to countertops. As compared to granite, they are inferior with regard to durability. They’re more porous and less dense, making them more prone to stains and scratches. It’s imperative that they’re maintained with a proper sealer. Engineered stone/engineered quartz combines the durability of natural stone with the flexibility and variety of manmade surfaces. Made predominately of crushed quartz, it’s highly heat-, stain- and scratch-resistant. Considered an advantage over natural stone is its consistency in pigment and pattern. Cost-wise, it’s about the same price as granite. Primack explains they take three times as long to cut, making their cost and installation higher than granite or quartz by 25 percent to 30 percent. 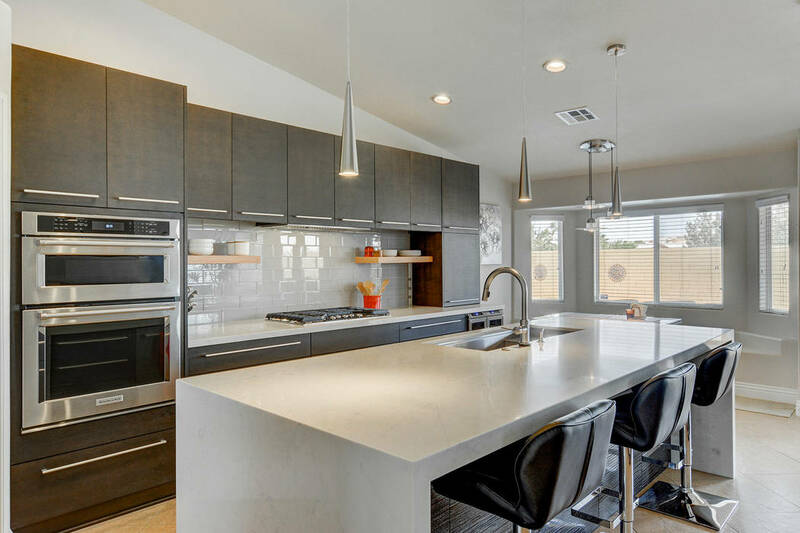 Solid surface countertops are 100 percent manmade material. They can be molded with a built-in backsplash and offer a variety of edging and borders with no visible seams. Textures, colors and finishes are abundant. Being solid throughout, there is no veneer that can chip and scratches can be buffed away. Although they are made to be stain and heat resistant, they are not as durable as natural stone. Ceramic and porcelain tile countertops have lost popularity since the ’90s but still offer many benefits including affordability. They’re highly durable, stain and heat resistant, and available in endless styles and colors. A drawback is the grout line; when wiping down the surface they can trap food particles. Also, if not properly sealed, grout stains. Laminate countertops are one of the more affordable surfaces. In addition to being sensibly priced you can relish in the vast number of looks, patterns and colors to choose from. It’s important to choose one that is high quality to ensure wear-resistance. Chipping and scratching are the biggest drawbacks of these surfaces. Concrete is a unique and diverse material that can be cast to fit almost any shape your kitchen calls for. Various stains and finishes can make it look and feel like quarried stone. Concrete is porous, but sealers make them water- and stain-resistant. While concrete is impervious to heat and scratches, the sealer is not. Heat and cutting on the surface will compromise the sealer, resulting in damage to the concrete. Wood and bamboo countertops offer a natural appeal to a kitchen. They’re excellent for cutting/chopping. Carefully consider what type of finish is applied since it will affect the wood’s ability to be water-, stain- and scratch-resistant. It is not recommended to use either of these materials in areas that are perpetually wet. 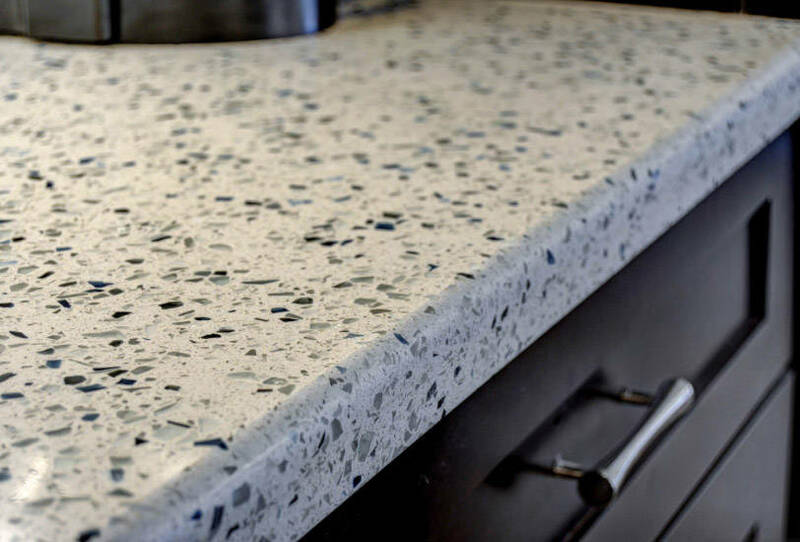 Recycled materials such as paper, plastic, stone and glass are being used to create innovative countertop surfaces. They come in a wide variety of looks and colors. Each offers environmentally friendly and healthy properties, but no countertop material has zero impact on the planet. The right countertop choice may not be obvious at first, so remember not to take any option for “granite” (wink, wink). Norma Vally is a seasoned veteran of home improvement; her career includes four seasons as host of Discovery Home Channel’s Emmy-nominated series “Toolbelt Diva.” A columnist and author, Vally splits her time in Southern Nevada, Los Angeles and New York City. Follow her on Facebook at Norma Vally “Toolbelt Diva” and visit her at www.NormaVally.com. Email Norma@NormaVally.com.